Skill and compassion go hand in hand when providing exceptional patient care. As dental professionals, we stay up to date on the latest advancements in dentistry in order to provide the most current treatment options for our patients. We recognize that our patients are unique individuals who have placed a great deal of trust in our team. That is just one reason why we value each and every patient relationship. 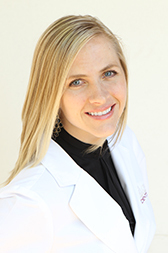 Dr. Leigh Ledford received her DMD degree from the Medical University of South Carolina in 1998. Subsequently, she opened a private practice in Simpsonville, S.C. During the last 15 years of practice, Dr. Ledford has had the privilege of being taught and exposed to the latest techniques and developments in modern dentistry. Sitting alongside some of the leading cosmetic dentists of our time has been invaluable in the learning process. With many hours of post graduate training in the treatment of Advanced Occlusal Disease and disorders of the Temporal Mandibular Joint (TMJ), she has developed the skills necessary to not only treat minor restorative problems but also to be able to solve more complex restorative and aesthetic challenges. 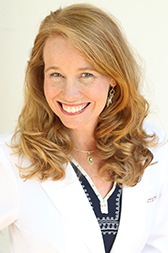 Drawing on her years of advanced study and practical experience, Dr. Ledford sees each of her patients as unique individuals and treats them with the gentle and considerate care they deserve while providing attractive and functional restorations. This is the excellence her patients have come to expect through her many years of practice. Dr. Ledford has also received certification from the Triangle Dental Institute after having completed 192 hours of continuing education in the study of Implantology. She is also a member of The International Congress of Oral Implantologists, as well as a member of The Implant Prosthetic Section of the IOCI. Because service is of great importance to her, she also enjoys volunteering at the Free Medical Clinic of Greenville. She serves on the Foundation Board of the South Carolina Dental Association, is a member of the American Academy of Cosmetic Dentistry, The American Dental Association, and The Greenville Dental Society. highest quality of care for her patients. Dr. Roberts also has a heart for mission work and has traveled to South America and Africa to provide dental work to underserved patients. She and her husband, Jordan, have a lovely daughter, Adeline. Together they enjoy spending time with family and friends, and cheering for their Clemson Tigers. On the weekends, she likes to visit local Simpsonville businesses and parks.